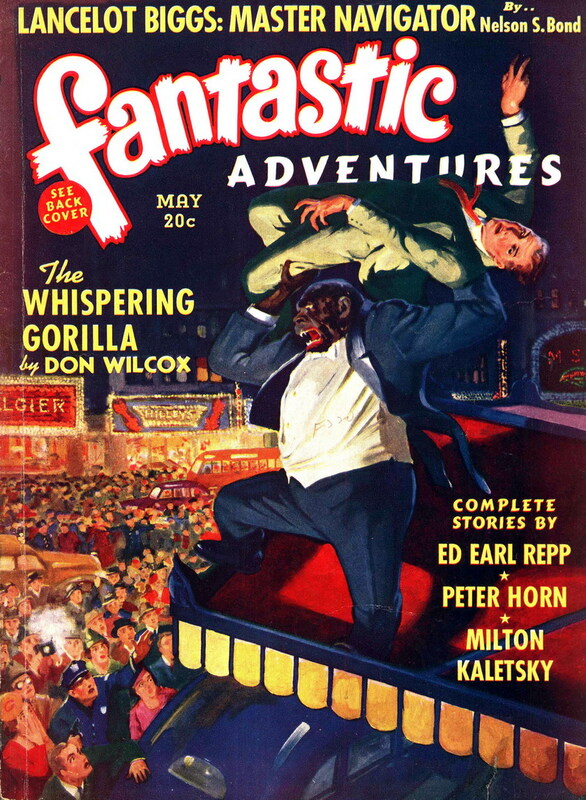 The Whispering Gorilla is another example of where the storytelling of the the pulps influenced the several decades of the comic books that replaced them. 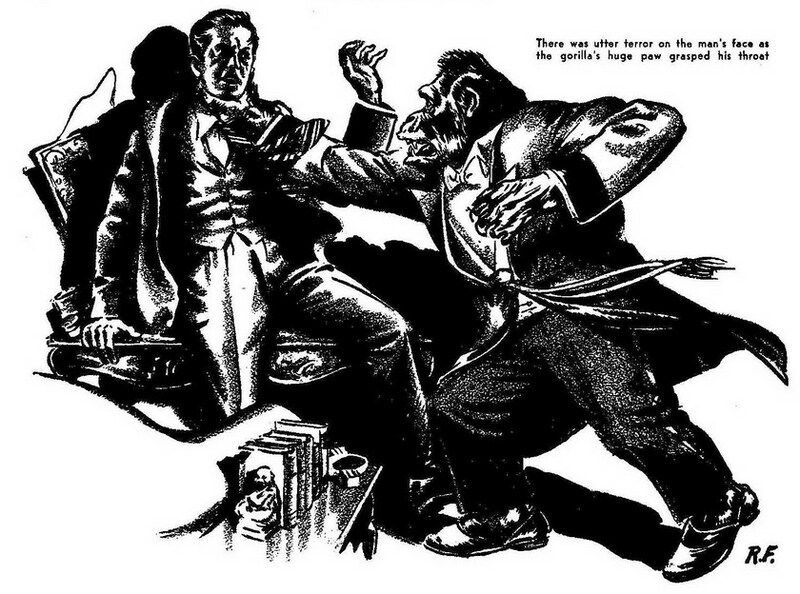 The Whispering Gorilla is a story of a crime-victim who had his brain transplanted into the body of a gorilla. Wasting no time, the protagonist quickly escapes to exact horrible revenge on those that preyed upon the innocents of the city and created his horrible condition. Over the course of the story the character says goodbye (after a fashion) to the wife he lost when his body was destroyed and accomplishes his mission, though a severe beating he receives at the clubs of frightened police reduces his human brain to that of a simple, instinctual animal. While this is a pretty standard revenge plot that has a few touches of the Shadow thrown in an interesting aside to the story is that "W.G. ", as he is known to be popularly called, is a public figure, albeit with a "secret identity." Most noteworthy is the idea that since people can not truly determine if the intelligent, talking gorilla attending their social gatherings is human or not, the populace at large treats him as if he is anyways, so as not to offend. Whether this respect is out of a healthy dose of fear or politeness is not clear. This basic story of a person changed through circumstance to return in a more powerful and less helpless form would proliferate in the Golden Age of comics and absolutely saturate the Silver Age, particularly that of DC Comics, the comic book industry being where pulp veterans Otto Binder, Julius Schwartz and others moved to after the decline of the pulp market. You could barely pick up a Silver Age title without finding at least one brain transplant story in it. 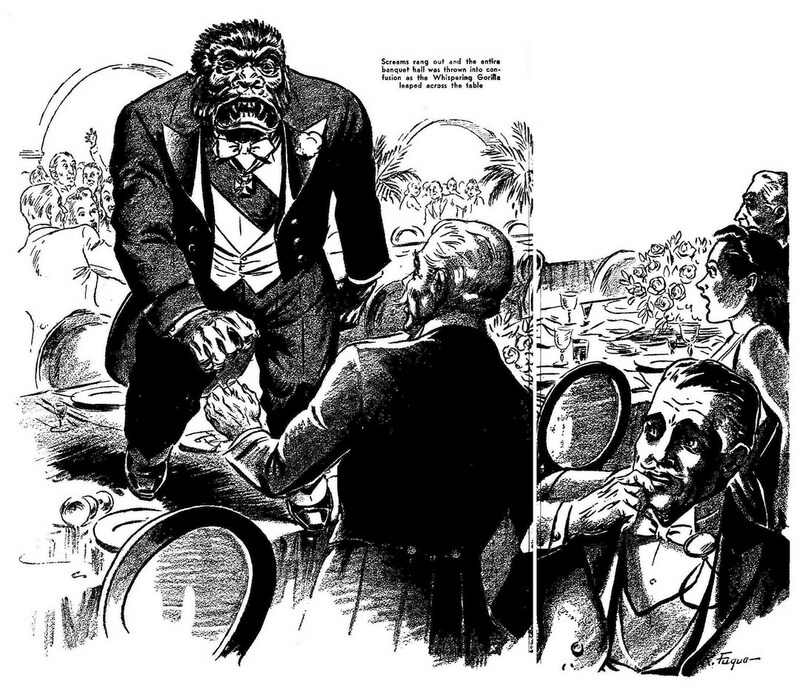 The Silver Age character of the Congorilla is a direct descendant of this type of story. Transformation is the primary theme of the comic book, carried over from the pulp heroes with their ritualistic costume and uniform changes. Modern comics still follow the old pulp formula and one of the greatest modern booms in comic book creativity, that of Marvel of the 1960s, is founded on the very same idea. 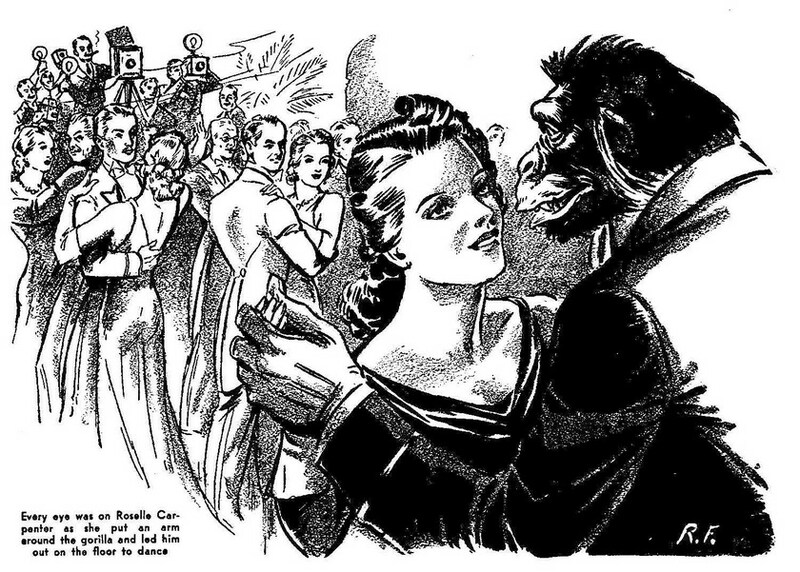 From Fantastic Adventures (May 1940). Story by Don Wilcox. Cover painted by Stockton Mulford. Interior illustrations by Robert Fuqua. 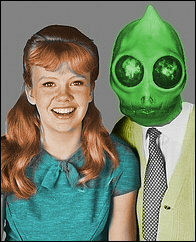 Sleestak reviews: Who Can Save Us Now? Friday Night Fights: Get back in the kitchen! Have you had any formal art training? You have become a demigod!